San Diego Intactivists will hold a demonstration outside the San Diego Convention Center that will coincide with the American Congress of Obstetricians and Gynecologists (ACOG) 60th Annual Clinical Meeting. 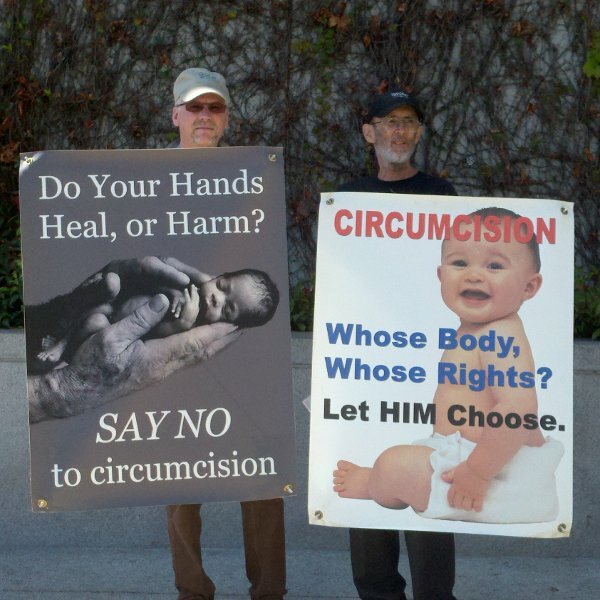 Some of the doctors attending this conference continue to violate medical ethics and the human right to bodily integrity by performing routine infant circumcision. Topics included in this conference include a short presentation "A Cost-Effective Analysis of Male Circumcision for the Prevention of HIV in the United States" as well as a short instructional film "Early Male Infant Circumcision Using Mogen or Gomco Circumcision Clamps."